"According to preliminary data of NSA, in 2018 livestock enterprises of Russia insured is 14% more farm animals than the year before. This attests to the rising demand of domestic livestock to the insurance protection to keep the risk of epizootics, primarily of African swine fever and avian influenza", – said the President of the National Union of agricultural insurers the Roots of Beidou, commenting on the results, 2018 in livestock insurance. "In just 12 months 2018 was insured under the state of 4.53 million heads of farm animals, a year earlier, the country was insured under subsidized contracts to 3.97 million heads. Real heads in 2018 in Russia provided insurance coverage on the conditions of state support, 99.9 million birds, 5.9 million pigs, 745,2 thousand head of cattle, small cattle population 118,9 thousand and 4.8 thousand heads of horses", – said the President of the NRA of the Roots of biggov. Insured amount under the concluded insurance contracts increased by 18% in 2018, are insured livestock amounting to 96.0 million RUB, the company informed the insured amount was $ 81,0 billion. 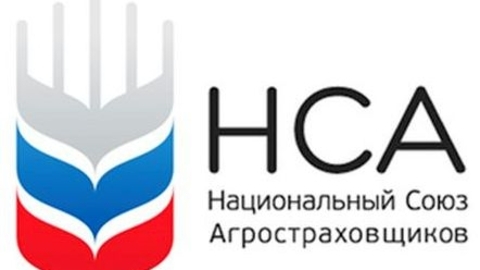 The roots of Beidou highlighted the active position of the Ministry of agriculture of the Russian Federation and a number of regional agricultural administrative bodies for provision of subsidies for insurance of animals: "if in 2017 at December 31, APK the bodies listed breeders subsidies for insurance policies in the amount of 223 million rubles, and in 2018 this figure increased almost in 2 times – to RUB 417 mln. the Simultaneous increase of demand and government support have led to the emergence of positive dynamics in this area of insurance. The amount of insurance premiums actually received by the agricultural insurers for the year under contracts of insurance of animals, increased by 33% to 866 million rubles. While almost all inmates during the year the policies to the end of the year was already fully paid at the end of December, the insurance companies received 96% of the premium". "I want to emphasize that the program is insurance of farm animals in the conditions of state protects farmers, including the risk of epizootic diseases and dangerous infections – just this list of more than 60 types of diseases," - said the President of the NRA of the Roots of biggov. The practice of insurance payments on insurance of animals with state support shows that 98% of payments on the damage caused infectious diseases. Let me remind you that the absolute record for the amount of payment on a single loss to one enterprise in the system of agricultural insurance with state support was set in 2018, the Maximum payment in the system of agricultural insurance with state support during the period of its work since 2012 has received one of the poultry companies, lost part of poultry an outbreak of avian influenza – compensation exceeded $ 371 million. the Contract was concluded in the spring of 2018, a few months later, the insured event had occurred. This shows again how dangerous it is for livestock, the spread of infections, and how effective can be the insurance". From 1 January 2016 at the market of agricultural insurance with state support is a single national Association, the national Union of agricultural insurers. Insurance companies, who are members of NSA do not have the right to enter into contracts of insurance with state support. The creation of a centralized system of agricultural insurance in the Russian Federation is provided by Federal law 22.12.2014 No. 424-FZ on amendments to the Law "On state support in agricultural insurance..." №260-FZ.